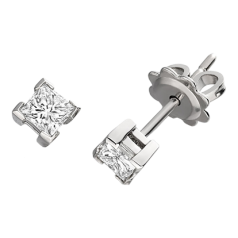 At the moment, most women wear as accessory a pair of earrings from all types of jewellery. 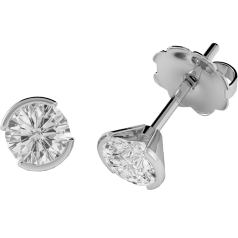 That is why a pair of diamond earrings is an excellent gift for any woman in your life, without having to worry about the correctly fitting size. 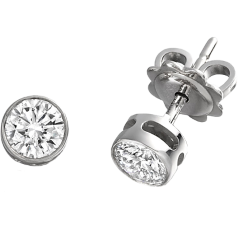 Throughout history men have also been known to wear earrings, records can be found of this from the Antiquity to the Middle Ages. 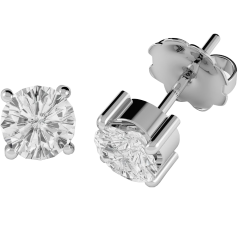 From the second half of the 20th century ear piercing and earrings started to gain popularity again among men, and the trend still has its followers today. 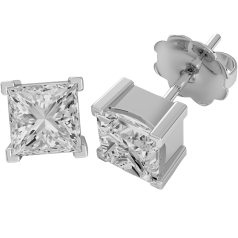 We offer an array of earrings set with the most popular shapes of diamonds, the classic round brilliant cut diamond and the square princess cut diamond, which has been gaining popularity from the second half of the 20th century. 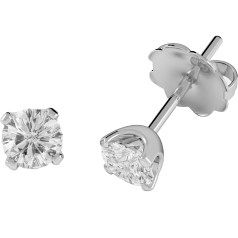 In our collection you can also find stud earrings with heart shaped diamonds, to match with our heart shaped engagement rings and pendants. 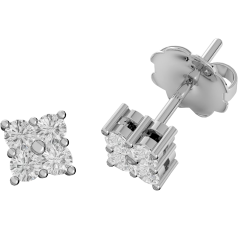 You can also pick from our stud earrings and drops with clusters shaped like a starburst, snowflake or flower to add a hint of whimsy to your classic elegance. 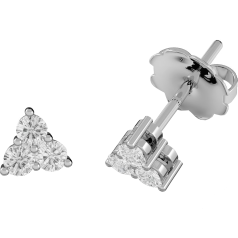 People with a slightly more eccentric style, who follow the trends and have their ears pierced multiple places, can also choose from our diamond stud earrings of different sizes. 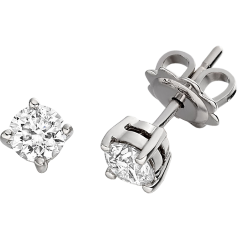 Our high quality handmade diamond earrings are not only timeless fashion accessories, they are real investment pieces. 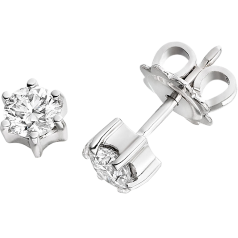 Each earring is manufactured with the best hand-picked diamonds set in fine 9ct or 18ct white gold. 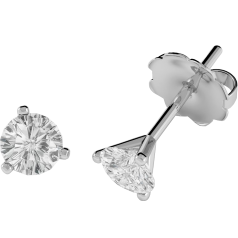 We are aware that buying online means that you are not able to view our diamond earrings before purchase. For this reason we offer a 30-day money back guarantee.